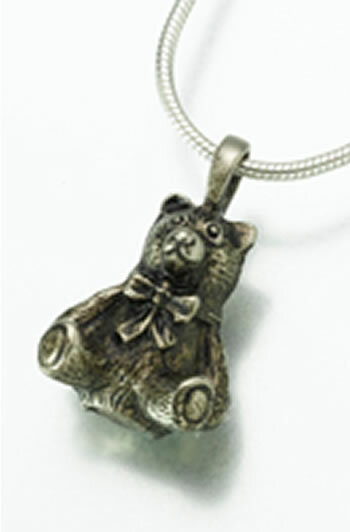 The Teddy Bear Keepsake Urn is available in either Bronze (lower photo) or White Bronze (top photo). The bear measures 3/4" high x 5/8" wide. A screw bottom opening allows ashes to be added. A small funnel, filling and sealing instructions, and a care card are included. Each pendant is presented in a black velvet gift box.